Welcome to the first day of Chocolate, Enchanted Islands and Pirates Theme Week. Today's "Thumbs Up" and "Buccaneer" candy bars were distributed by Go Max Go Foods LLC (Santa Fe, NM). First, a quick digression. A big Thumbs Up to all the athletes competing in this week's Winter Olympics in Korea this week. 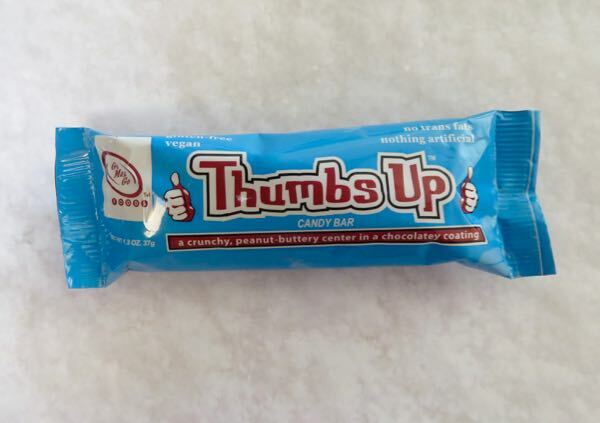 The gluten free, vegan Thumbs Up candy bar was reminiscent of a Nestle Butterfinger bar, with a crunchy, "peanut buttery" center. Though similar, this bar had a slightly simpler ingredient list, and claimed to be made with "nothing artificial." 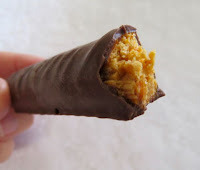 Both Go Max Go bars had a "chocolatey" coating which did contain cocoa powder, if you're wondering. 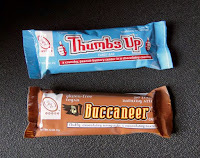 The Buccaneer was bit too sweet for me, but pirates with a sweet tooth may enjoy this bar.